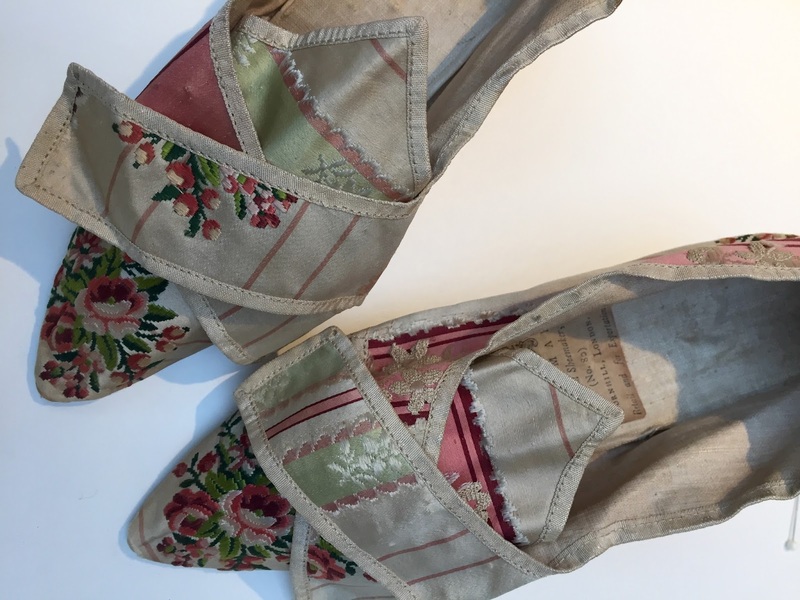 These dainty silk brocade shoes were made by London boot and shoemaker, Charles Chapman and exported to British America. While we do not know who owned them –the provenance has been lost—they were most likely worn in New England. 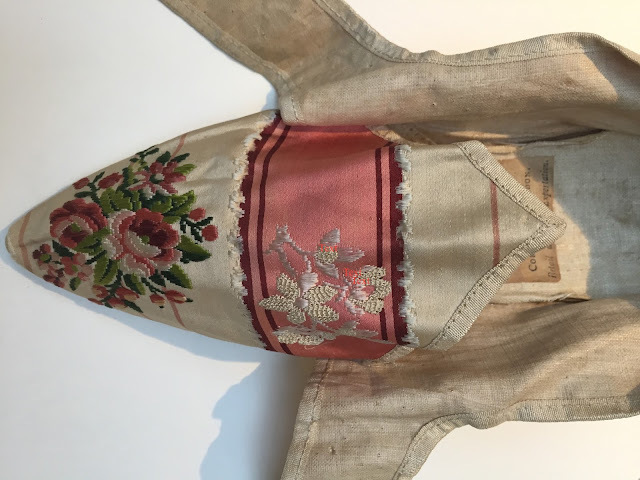 The brocaded silk is visually appealing with pinks, pale green and raspberry tones on an ivory ground, and most likely dates to a decade or so before the actual shoe was made. Note that there was some piecing (the straps for the buckles are not matched for example) of the shoes. The style of the shoe, with its diminutive heel and placement, indicates a date range in the 1780s. They are in fine condition. 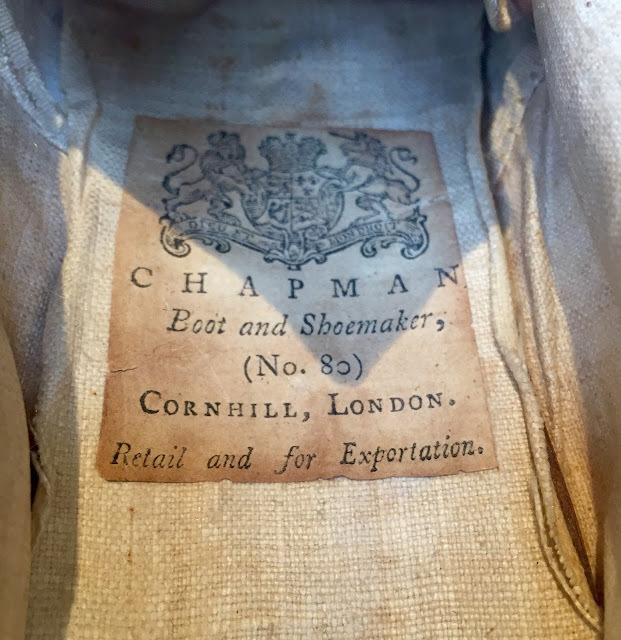 Fortunately, the survival of a label affixed to the footbed of the shoe reveals that the maker was located at 80 Cornhill in London and his business made shoes for retail shoppers as well as for export. Alas, other details regarding these shoes are lost to us at present. 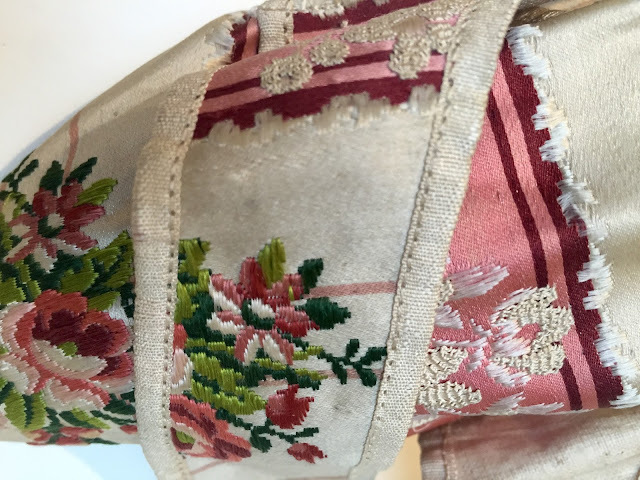 The shoes are in the collection of the National Society of the Colonial Dames of America, in Boston and all photos are courtesy of the NSCDA. 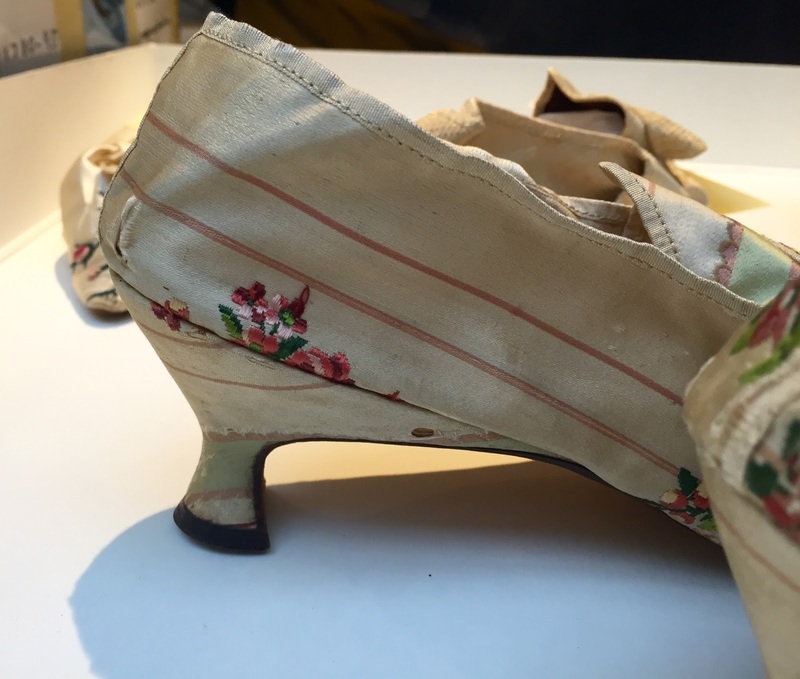 The author appreciates the generous assistance of Nancy Lamb, Chair of the Costume Committee, and Becky Putnam, for the invitation to speak at the Society’s Beacon Street headquarters on these, and many other shoes in the collection, February 2016.